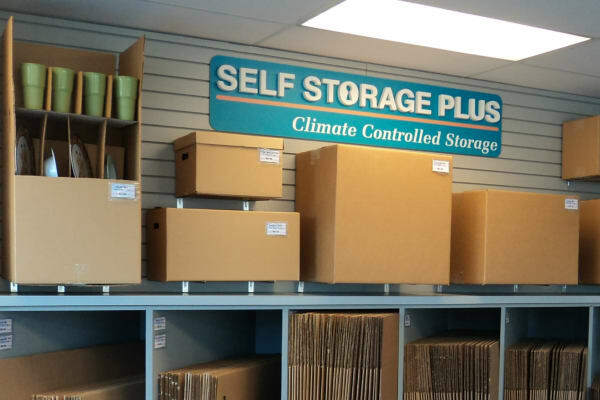 Self Storage Plus is your destination for self storage that you can count on in Woodbridge, VA. Our locally owned and operated business is committed to offering you the storage you need, with the customer service you deserve, from the moment you step foot on our property. We have equipped our self storage facility with features designed to make your experience hassle free. You’ll have electronic gate access 7 days a week, with extended hours from 6AM to 10PM, so you can get to and from your items whenever it makes sense for you. For easy loading and unloading, our property is all ground level, offering both convenient drive-up units and the added protection of climate controlled storage. When you store in our climate controlled building you will benefit from wide, well-lit hallways, and the use of our carts and dollies when you need them. We even offer the free one-time use of our move-in truck to help you bring your your items here easily. Lastly, our onsite team is here daily for your assistance, 100% dedicated to making you their number one priority. For more information on features of Self Storage Plus near the DMV and Target in Woodbridge, give us a call today.